Come to our Nova Scotia bed and breakfast and enjoy a stay in one of our three private guest rooms, relax in our luxury air-whirlpool massage tub and relish our gourmet breakfast. We are only twenty minutes from the Halifax International Airport. Our convenient location has become a favorite choice for airline travelers to begin and end their Nova Scotia adventures. We are delighted to share our gardens with our guests, wireless internet service is also available. Situated in Halifax, Nova Scotia in a country setting, a beautiful neighborhood tucked into a forested area. We are only 10 minutes to the city and 20 minutes to the city waterfront where you will find fine dining, boutique shopping and lots of history about this Maritime city. 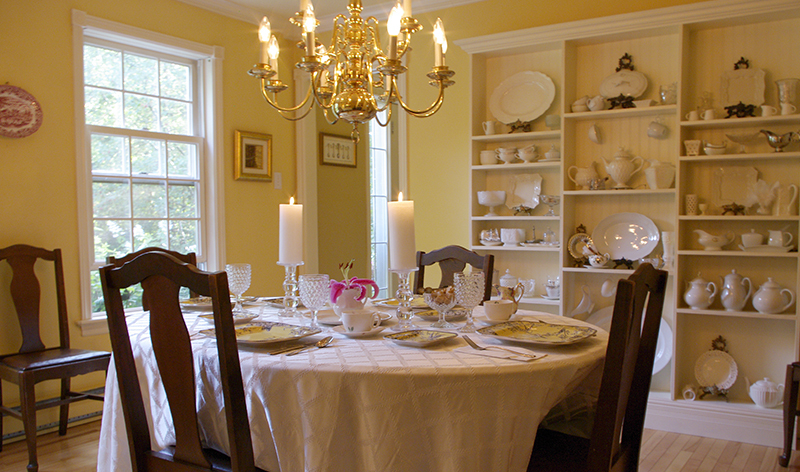 Come and enjoy a few days of serenity and find out why our guest have called Blue Forest Lane one of the best Bed and Breakfast experiences in Halifax Nova Scotia. The entire Halifax region delights with its impressive array of entertainment, museums, galleries, historic sites, fine restaurants, colourful gardens and lively nightlife. Through our 188 communities, explore charming seaside towns, sun-drenched beaches, sparkling coves and miles of rugged shoreline guarded by graceful lighthouses. Imagine the vivacity of city living, the charms of small town life and the pristine beauty of nature - all in one place!